On 02/26/19 at approximately 12:00 P.M., Richard McCloud was last seen walking north bound on 43rd Avenue and Thunderbird Road, Phoenix, Arizona. Richard has onset dementia and his family believes that he is lost. 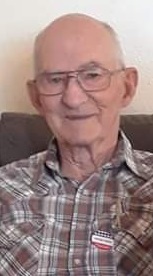 Richard was last seen wearing a green baseball cap, clear framed glasses, a light blue jacket, a brown leather vest, blue and gray Dallas Cowboys gloves, dark brown dress pants and white tennis shoes.